Sometimes you play an album and fireworks light up immediately. Others you listen to a few times and one track opens the door and you enter into the spirit of the music; this album has now been played about thirty times and finally something has clicked. Sounds like a hard slog but not really, just not enough flame to instantly attract this particular musical moth. La Conscienza di Zeno are named after an Italian novel about, if I read the synopsis correctly, a pathological liar, or something like that; it’s on Wikipedia if you wish to read it in full. The album title translates to “the night even during day”, what we might call an eclipse. I like the freaky artwork, definitely some hidden symbolism there. Actually it’s a nice package, but the music, well, there is a lot going on here. Some truths, some obvious influences, some odd sources, an Italian starter if ever there was. I hear a lot of early Genesis in here, from Trespass through to The Lamb…, Trick of The Tail, Wind & Wuthering but not much beyond. There are Camel snippets, a pinch of Crimson, a taste of Fairport Convention, a hint of Clannad, a smidgeon of Marillion (both sorts) and finally a touch of classical Beethoven/Mozart. It is a weird and intriguing album. The vocals from Alessio Calandriello are overall strong, although at times on one or two tracks he seems to lack a little conviction in what he is singing. I tend to listen in two places, at home through a hi-fi and in the car with a moderately good system, and anyone who gets in the car can express an opinion, as in this case did my son, “he doesn’t seem to care, Dad”. I would have to agree, but having listened again and again, I wonder if something got a little lost at the mixing desk, as the missing drive and feeling are present on some tracks. The album seems to be two suites, Giovane Figlia (Young Daughter) and Madre Antica (Ancient Mother). The first is where Genesis with strings is a clear influence, much of the music seemingly transported from the early seventies through some crack in the space time continuum. There’s even a Mellotron in there!! If it wasn’t for the strings it would be pure Genesis, and that’s where Fairport Convention comes in. It works, but the deep Italian vocals initially seem at odds with the melodies. The time changes seem a little strange too, but this is prog and there is no right and wrong. The components of this first suite work quite well together, not perfect, but well. It does, however, feel a little dated; up to the attic, into the trunk and on with the Kaftan and flares (I may be lying). It’s nice, it’s pleasant and it is inoffensive. This suite covers tracks one through to six. Track six, Lenta Discesa all’Averno, is where Clannad seem to slip in, the female vocals of Simona Angioloni seem reminiscent of Maire Brennan or a less ethereal Enya. And the melody seems familiar, this is the closest I have got to that musical high and it is by far my favourite piece from this album. Madre Antica is a bit more modern, latter day King Crimson and Marillion. The slight jazz musings of the Crims, the complex changes of some Marillion, and those little classical flares sounding a little like Beethoven short piano pieces or Mozart flourishes. Music for me is best when it lifts you to another plain. It is bit like watching a bird of prey riding the thermals; it glides, it rises, and then dramatically dives and gets its prey. I find much of this is riding the thermals, I keep expecting something dramatic, but then find the music still riding those thermal currents. I may be doing the band a disservice but I just don’t feel involved. Musically this does work well, the bass, drums, keyboards, guitar, voice and violin combining beautifully at times, although style wise I would say the violin is more folk fiddle. But it doesn’t inspire me, moments of excitement are fleeting at best and after thirty plus listens some of the tunes will be with me for a long time. It is a like but not a love, the romance of Italy, I’m afraid, is lost on me this time. What would have lifted it to extraordinary? Beyond nice to something else? Perhaps some more woodwind to accompany the strings (there is a flute in there, but it is hard to discern). 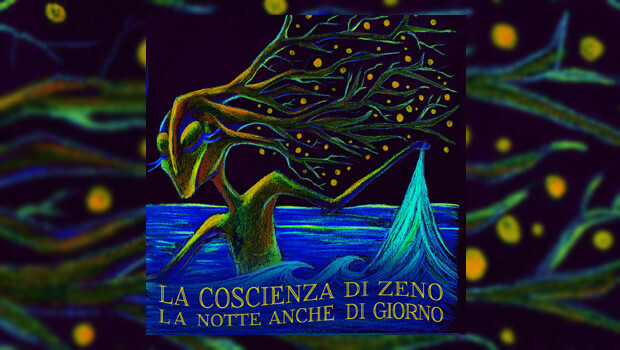 I cannot say, but La Conscienza di Zeno may be someone to look out for next time, and perhaps live. It is difficult to say yay or nay in terms of a purchase, but on the basis of filling shelf space, I have to say not this time.